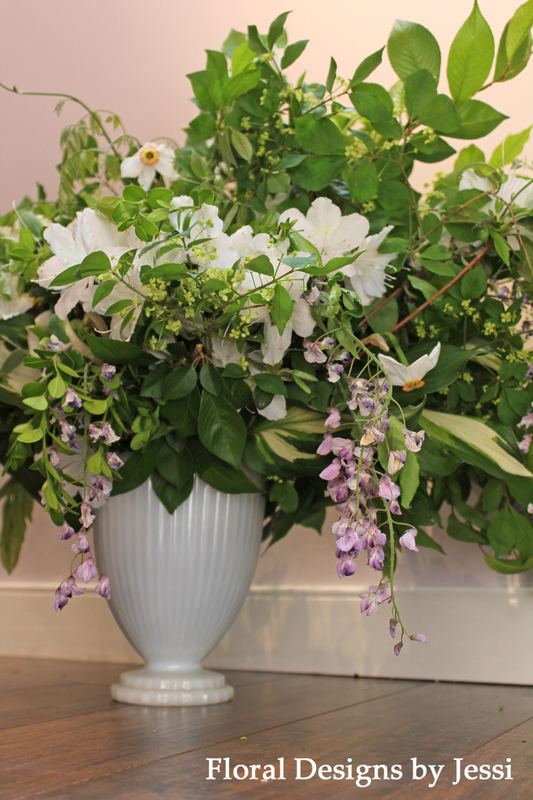 Last week I posted pictures from Jennifer’s Bridal of beautiful floral arrangements made out of lush greenery. In honor of the White Sale that is currently taking place, I decided to spruce up the floral table runner with a pop of color. 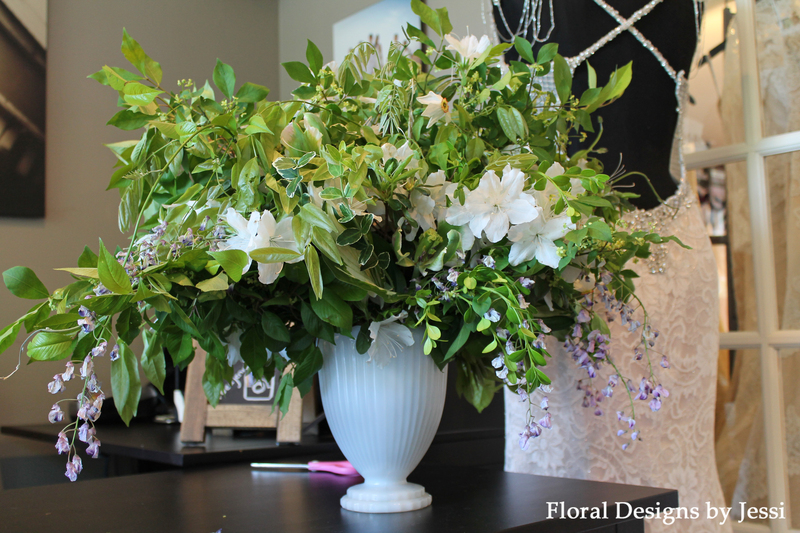 Check out the transformation of the same table runner by just adding flowers. Today is the last day of the White Sale where they have samples at over 50% off! If you haven’t made your appointment yet, you better do it now! 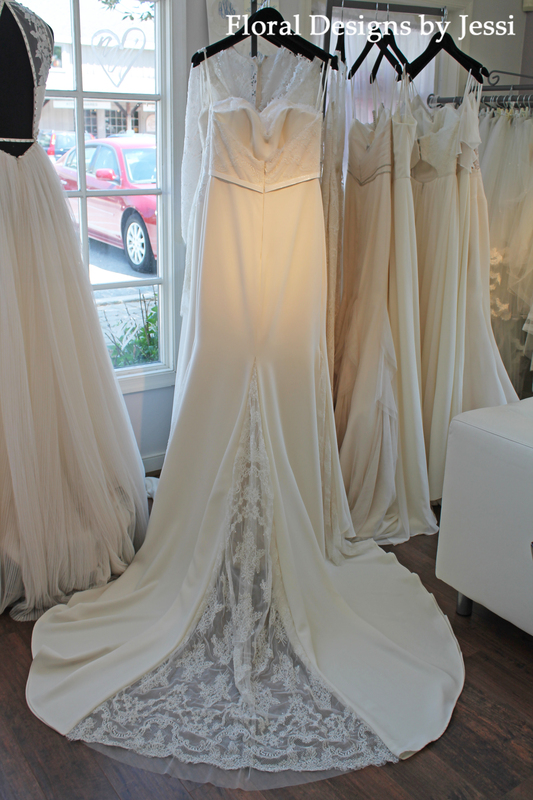 The Ti Adora by Alvina Valenta Trunk Show runs through April 26th. Spring is FINALLY here! 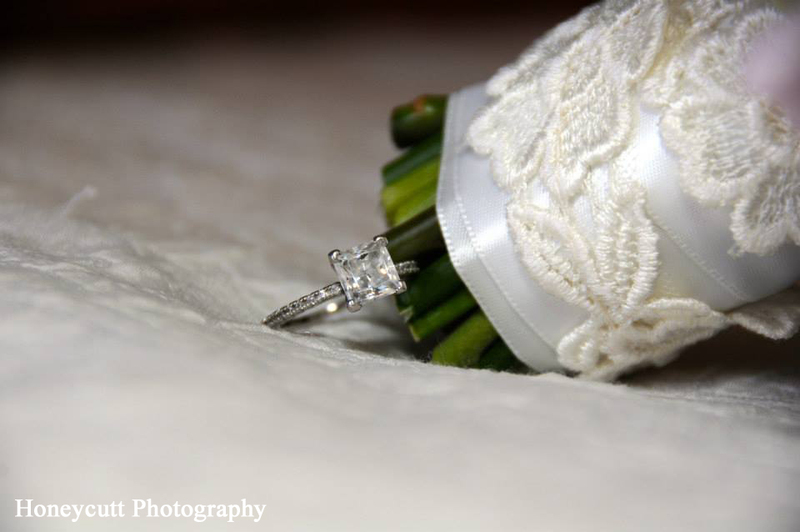 With that said, I was inspired by the Kentucky Derby for this floral stylized photo shoot. 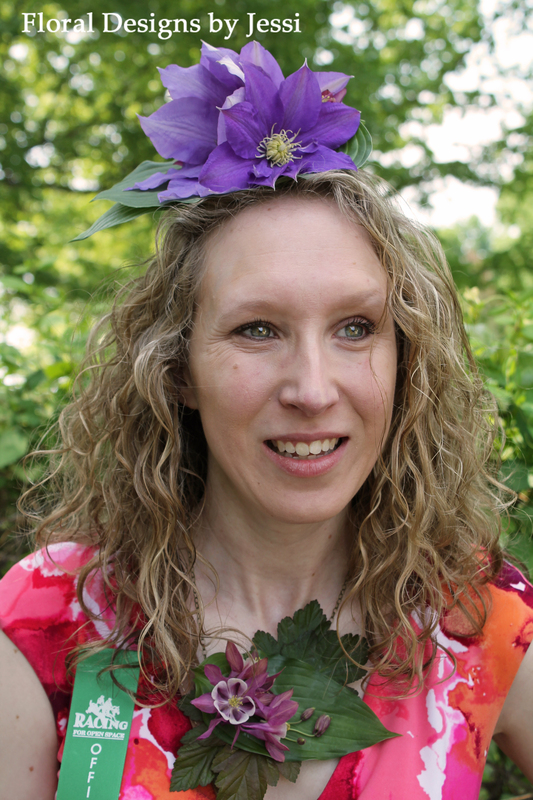 I wanted to design and create floral hats and jewelry that could be worn at a horse race or race party. Tradition says that wearing hats brings good luck to the races. Why not wear a FABULOUS hat! Shouldn’t it bring even more luck?! 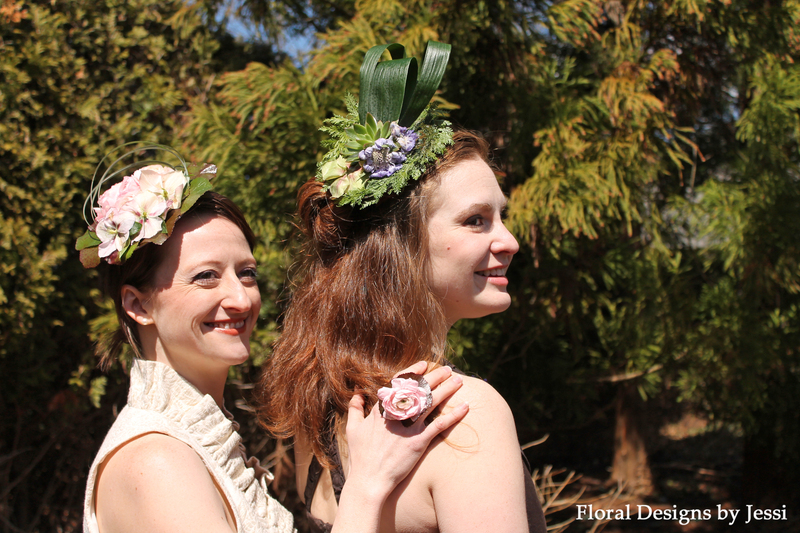 I had so much fun making these floral fascinators and jewelry! Melissa and Katie were great models and able to capture the essence of the theme! 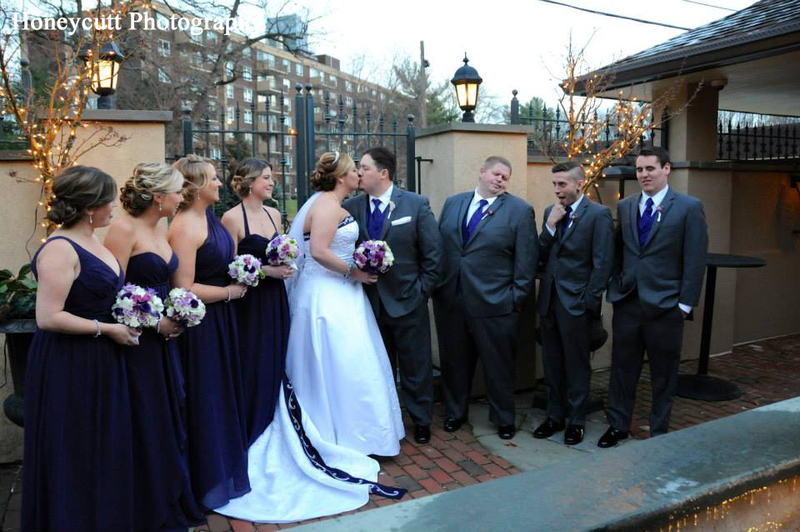 The pictures were taken at the beautiful gardens at Byers’ Choice Ltd. and downtown Doylestown. If you’re not attending one of the Triple Crown races, there are a bunch of local horse races including Winterthur Point-to-Point and the Devon Horse Show & Country Fair. These floral fascinators are reminiscent of the styles of hats worn in England. 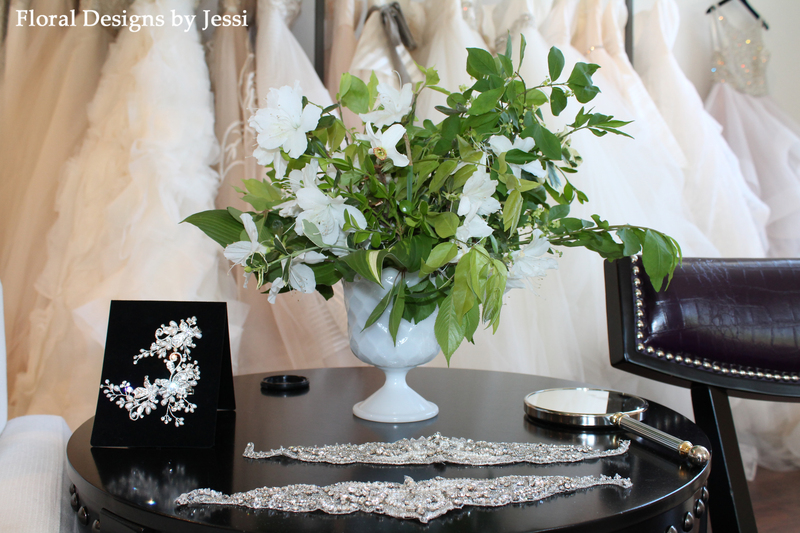 Floral jewelry is a great option to accessorize your favorite dress. 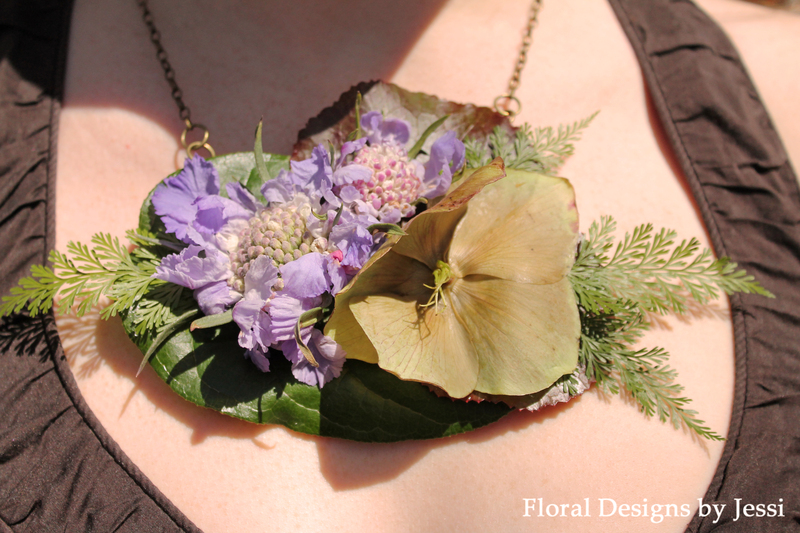 I am now taking orders for hats and jewelry designed and created out of fresh flowers and greens with your personal vision in mind. Wearing one of these will make you stand out among the crowd!!! Contact me today to place your order. 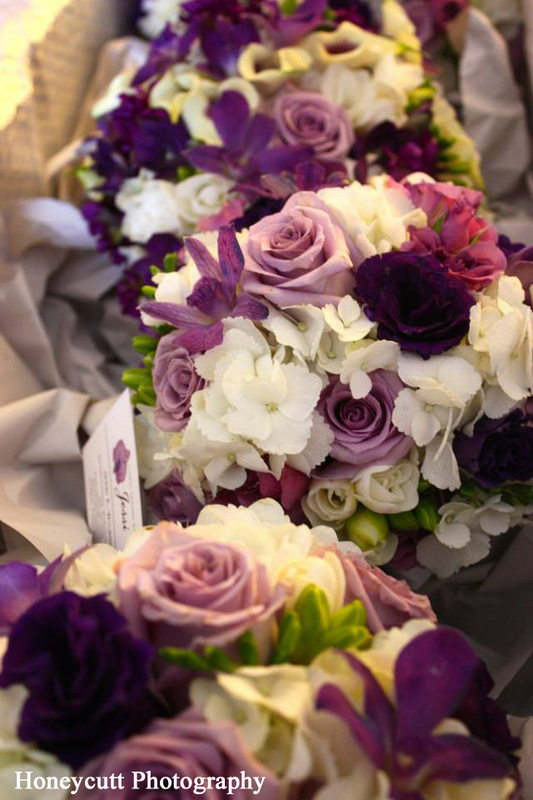 Call me at (302) 691-5525 or email me at FloralDesignsbyJessi@yahoo.com. For more information, check out my Horse Races & Events page. I look forward to working with you.